Downstairs there is a Dining Room with a large table, fully fitted kitchen containing Washing Machine, Fridge, Freezer, Dishwasher, Fitted Electric Oven and Gas Hob with overhead extractor. 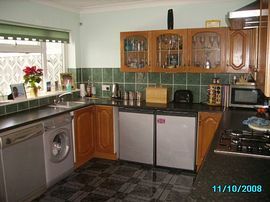 There is a small breakfast bar with two stools (Tumble Drier in Porch). 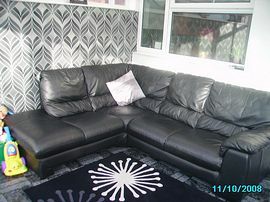 At the rear of the property is the lounge which has a corner leather settee and large flat screen TV, including Sky. The property is fully furnished as it is our family home and we only rent it out for the summer period. The double doors in the lounge open up to the rear garden, which has a decked seating area, with fitted blue neon lights. The rest of the garden is mostly laid to lawn with flower beds down one side and a paved area at the bottom, suitable for a BBQ (THE BBQ IS NOT AVAILABE); there is also a small shed and a washing line. The property is located on the outskirts of Littlehampton, within walking distance, or a short drive to the shops and the beach. Littlehampton nestles at the foot of the South Downs and the mouth of the picturesque River Arun; its award winning, safe, clean, sandy beaches and record sunshine levels, afforded it the title of the "Children's Paradise", making it the ideal family destination. There are many activities available that will be enjoyable for children of all ages, including the local amusement park, Harbour Park. We are located only a short 5 min drive from the historic town of Arundel where you will find many tourist attractions such as Arundel Castle, Arundel Lido, The Wildfowl & Wetlands Trust and much more. There many nice pubs and places to eat within walking distance, such as the Six Bells at Lyminster, The Arun View in Littlehampton; these offer traditional English menus. There are many Indian, Chinese and Italian restaurant;also award winning fish and chip restaurants only a short drive away. If you wish to venture a little further, you can head West towards Chichester, Portsmouth, Southampton, Bournemouth or East to Worthing, Brighton, Eastbourne; you can even jump on a train to Victoria for a day out in the Capital. 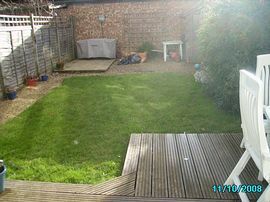 South facing garden mainly laid to laawn with decked area including outside table and chairs/loungers, blue neon lights. Paved area ideal for BBQ,s, Washing Line. 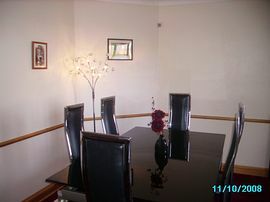 Local Services: Close to town, supermarket, pub's, restaurant's, park, beach, train station. Full Directions available on request. Maps will be supplied along with details and direction to local attractions. 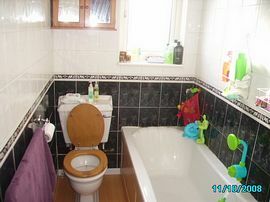 The property is available at £250.00 per week and a possible discount may be agreed for longer periods. All linen and towels will be supplied, and the price includes all bill's except for the electric, which is on a key meter and the telephone. We do have a highchair and a spare put up bed on request. Mid June to Mid September.